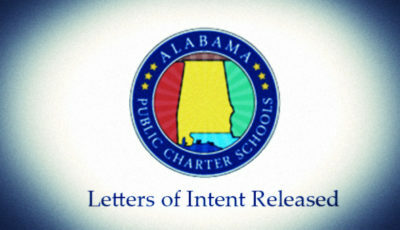 Five of the ten members of the Alabama Public Charter School Commission members are up for appointment after having served initial terms of one year. The five remaining commission members are serving initial appointments of two years. New appointments will serve a two-year term, thus staggering the positions. 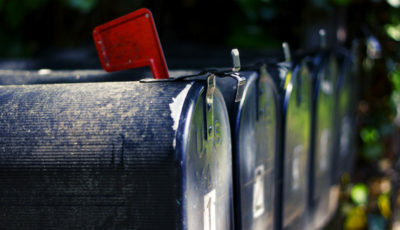 The State Board of Education will choose one of two names for each position at their regular meeting on Thursday at 10 a.m.
An initial list of nominees was presented to the board at their April work session, but board member Stephanie Bell (R-District 4) questioned why there was only one person named for each of four of the positions. Bell correctly noted that the law authorizing the commission specified that two names must be listed as nominees for each position. Here’s the list of nominees to be considered by the board. New terms begin June 1, 2016. The following biographies were taken from that list and reprinted here for ease of access. Additional information is provided as necessary. Board members will choose one of the two persons nominated by Gov. Robert Bentley to replace Sally Smith, Executive Director of the Alabama Association of School Boards. Smith asked not to be reappointed to the commission. Blake Harris is Executive Director of Students First. He is an attorney, political consultant, and Alabama Native. He is a veteran of political campaigns at the state and federal level, and uses that experience to impact the public policy conversation in Montgomery. Born and raised in Decatur, Harris is a graduate of Harding University and Cumberland School of Law at Samford University. Harris resides in the 3rd State Board of Education District. Lisa Williams received her Bachelor of Arts in education and her Master of Arts in education from Harding University in Searcy, Arkansas. Prior to coming to Alabama, Lisa served as an academic administrator for eight years with Arkansas Virtual Academy, a K-12 Inc. school. Her background also includes serving as an adjunct supervisor of student teachers at Harding University and serving as a virtual learning teacher of Grades K-8 and an elementary school teacher. Williams resides in the 5th State Board of Education District. Ed Richardson currently serves as Chairman of the commission and has over 40 years of experience in public education. Richardson served as Alabama State Superintendent of Education and President of Auburn University. Richardson has a deep knowledge and understanding of charter schools and will be a strong asset to the charter commission. 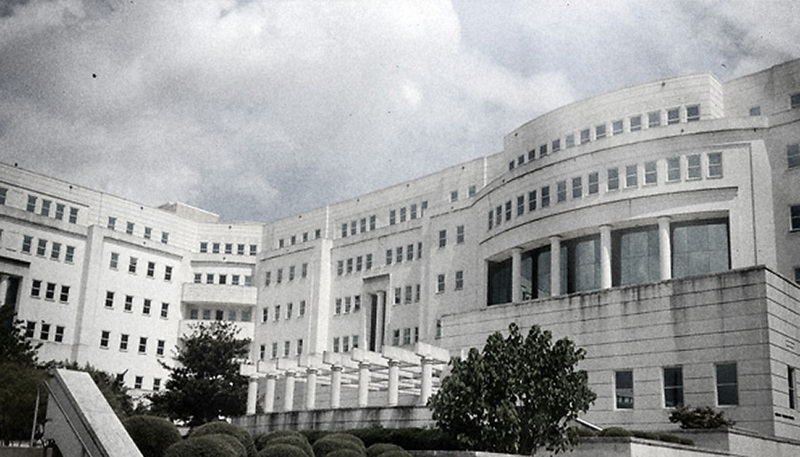 Richardson resides in the 2nd State Board of Education District. Ryan Cantrell’s bio is not printed in the attachment, but Cantrell serves as state director of the Alabama Federation for Children, an affiliate of the American Federation for Children. Melinda McClendon currently serves on the commission and is a graduate of Auburn University and has worked for and with some of the world’s largest companies. She was appointed as the first female City Commissioner and was later elected as a Houston County Commissioner. She and her husband Ted have four children and are active in their community. McClendon resides in the 2nd State Board of Education District. Mark Colson is Senior Vice President for Governmental Affairs and Chief of Staff for the Business Council of Alabama. Colson earned a B.S. Degree from Huntingdon College and holds a Master’s in Business Administration from Troy University. Colson resides in the 3rd State Board of Education District. Terri Tomlinson currently serves on the commission and is retired from George Hall Elementary School where she served as Principal. She is a proven educator and innovator in classroom learning, student achievement, and education administration. Under her leadership, George Hall Elementary School was named one of Alabama’s Torchbearer Schools and a National Blue Ribbon School. Tomlinson resides in the 1st State Board of Education District. Hunter Oswalt is the Director and Reading Specialist of the Learning Center in Daphne, Alabama. Prior to that, Oswalt worked for Teach for America. YES Prep Public Schools in Houston, and in a KIPP Public Charter School in Atlanta. Oswalt resides in the 1st State Board of Education District. Chad Fincher currently serves on the commission and is a former member of the Alabama House of Representatives. While serving in the Legislature, Fincher was the sponsor or co-sponsor of numerous educational reform bills. Fincher resides in the 1st State Board of Education District. Charlotte Meadows was formerly the Students First of Alabama Outreach/Policy Director as well as a Montgomery Public Schools school board member. Meadows has also served as PTSA President of Booker T. Washington Magnet High School. She holds a Bachelor of Science degree in Business Administration from Auburn University and a Master’s degree in Business Administration from the University of South Alabama. Meadows resides in the 3rd State Board of Education District. 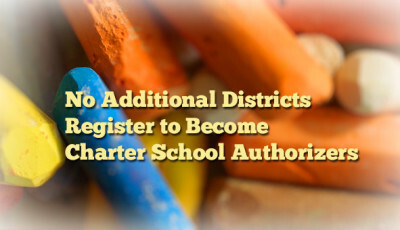 The commission has finalized the application and the contract for charter school operators wishing to start a charter school in school districts where the local board has chosen not to become a charter authorizer. Only Athens City and Birmingham City schools have registered to be authorizers for their own districts. If a local authorizer denies a start-up charter school’s application, the charter school operator can appeal the application to the commission. The commission has no authority over conversion charter schools and cannot authorize any conversion charter schools even in districts where the local board has not chosen to register as an authorizer. Chairman Ed Richardson has stated previously they do not expect any public charter schools to be open for enrollment until the 2017-2018 school year. 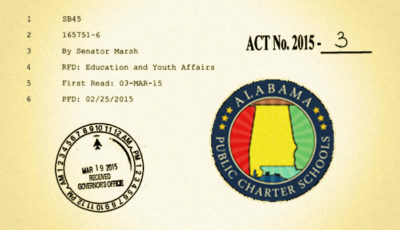 Alabama’s charter school law has been hailed by both the National Association for Charter School Authorizers and the National Alliance for Public Charter Schools as one of the strongest laws in the nation. The state board of education meeting will be live-streamed beginning at 10 a.m. The board will hold their monthly work session at 11 a.m.